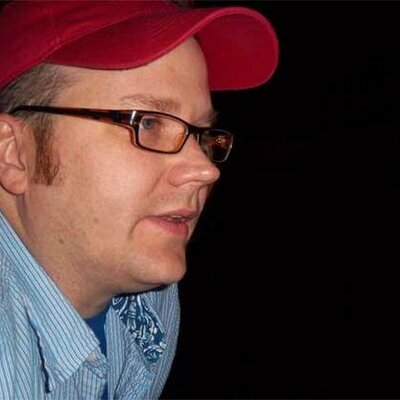 Chis Paul (twitter | linkedin) is Director, User Experience and Information Development, Collaboration Solutions at IBM. What does Chris’ role as ‘Director, User Experience and Information Development, Collaboration Solutions’entail? Who is part of that team? User Experience AND Information Development. Why the two roles combined? Are the intersections between their work? Will IBM continue to offer offline documentation? Do you manage design for web-based, client and mobile? Does that bring challenges? What are the goals and main focus areas in 2011? We keep on hearing about OneUI. Can you talk to what OneUI is? Has anyone looked at what features are turned on by default? What other vendors do you look at and envy? Mac is a big topic today. Does developing for the Mac lead to different design decisions to Windows-development? As IBM adopts Social Business, users will look for design clues from consumer social sites such as Twitter and Facebook. These sites evolve fast with almost weekly changes. Can IBM keep up? Indeed, should it try to? With the drive for continued improvement do you see the continuation of the point.point release of new features and functionality that we’ve seen in the last year or so? And Packt are running a Buy any Three Enterprise eBooks for $75! Is this the future of Office too? Built on XPages no less! Chris Surround yourself with talented people and amazing stuff happens! Tony McGuckin (linkedin) is a software engineer in the IBM Ireland software lab. He began his career with IBM in 2006 working in software product development on the Lotus Component Designer runtime before morphing into the XPages core runtime team. When not directly contributing to the core runtime, Tony is busy with software research and development for the next generation of application development tooling for both Domino server and XPiNC. He also spends time engaging directly with IBM customers as an XPages consultant, and being involved with the IBM OneUI web applications and iWidgets adoption workgroup. Tony lives in Northern Ireland where its always warm and sunny. Martin Donnelly (linkedin) is a software architect and tech lead for the XPages runtime team in IBM Ireland and has worked on all three XPages releases from Notes/Domino 8.5 through 8.5.2, Prior to this, Martin also worked on XFaces for Lotus Component Designer and on JSF tooling for Rational Application Developer. In the 1990s while living and working in Massachusetts, he was a lead developer on Domino Designer. Now, once again based in Ireland, Martin lives in Cork with his wife, three daughters, and two greyhounds. When pressed, he confesses to playing soccer on a weekly basis, and salmon fishing during the summer when the opportunity presents itself. Mark Wallace (linkedIn) is a software architect working in the IBM Ireland software lab. In the past, he worked on the XSP runtime, which was developed for Lotus Component Designer and subsequently evolved into the XPages runtime. He has a keen interest in programming models and improving developer productivity. Mark has worked in Lotus and IBM for more than 15 years on various products and is currently working on Sametime Unified Telephony. Mark lives in Dublin with his wife and two children and spends as much time as possible in the Ireland’s sunny south east enjoying fishing and kayaking with his family. It’s quite a tome! 750 pages! How long did it take you to write? How did you split out the workload? By chapter, by topic? Who was responsible for the overall flow and organisation of the content? The book was launched just prior to Lotusphere – great timing! At LS11 it out sold any book at any IBM event in the last 6 years! How have sales gone so far? Did that “fixed date”cause extra work? What were the greatest challenges to writing the book? Would you write another one, given the experience? Did you have to make any changes when 8.5.2 shipped? Has it raised your profile in IBM? Why the sudden storm of discussion? Would it be that hard to do? Ed says the decision is a business justification one and that “cost != opportunity cost”. Is this one that must be justified by net new revenue, or is it (like social business) not possible to justify ROI, but needs to be done as the cost of not doing it is so great? Is full DDE necessary, or would a designer just for XPages be enough? Should we be looking beyond Domino Designer to other development tools (RAD7, Portlet Factory etc) being Mac-based? A good advert for IBM? Good PR? What does this tech mean for us? Can we see a day where call centres are replaced by Watson-type technology? IBM Execs beginning to get social! Does IBM pushing Social Business mean that IBM/Lotus must be seen to be leading the way in being more social itself? Does Social need to mean external, or is internal enough? Oh, and we have an e-book version of the “Mastering XPages”book to give away. 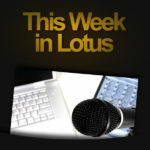 Send an email before 12PM EST next Wednesday to ideas@thisweekinlotus.com to enter. Tony If you’ve not already downloaded the new TeamRoom OpenNTF 8.5.2 template from OpenNTF.org then you should do so now! It is quite literally a developers goldmine for examples and best practices on how to use many of the new controls found in the XPages Extension Library! And don’t be shy on giving feedback! Bear in mind it’s currently geared at 8.5.2, requires the Extension Library of course, and works best in Firefox 3.6, and MSIE 7 & 8. In the coming weeks we’ll be updating it with more cross browser, XPiNC, and performance enhancements! Mark Take some time to go through the samples in chapter 4 “Anatomy of an XPage”, these will provide you with valuable lessons on the structure of an XPages and the fundamentals of the XSP language. Happy Reading! 2) Always thank the people that help – in the acknowledgements section! 38: Orlando’s but a distant memory. Onward! Overall reflections on the conference, how did it rate? Vowe – Are we feeling all excited yet? Stuart – Lotus is dead. Long live IBM. Will this cause confusion in the marketplace? Customers feel Lotus is dead etc? Jon, as a IBM sales guy and former Websphere dude, does it matter? How about from an IBM sales perspective, do you ‘lead blue’? How will you explain the messages of Lotusphere to your customer base and sales teams? Did attendees/customers/press get this? Is there a sense that IBM is leading the field (and the conversation) now? Kathy Brown – Lotusphere 2011 – Anti-Social? What does this mean for traditional Lotus partners? Will this lead to a new tier of business partners that can lead the Social Business message? Did you get a sense for what’s coming in the ‘Next’versions of the product? Is this Project Vulcan being realised? Will Activity Streams become ubiquitous? Is the future all web based? Will there be a place for desktop apps still? How about native mobile apps? 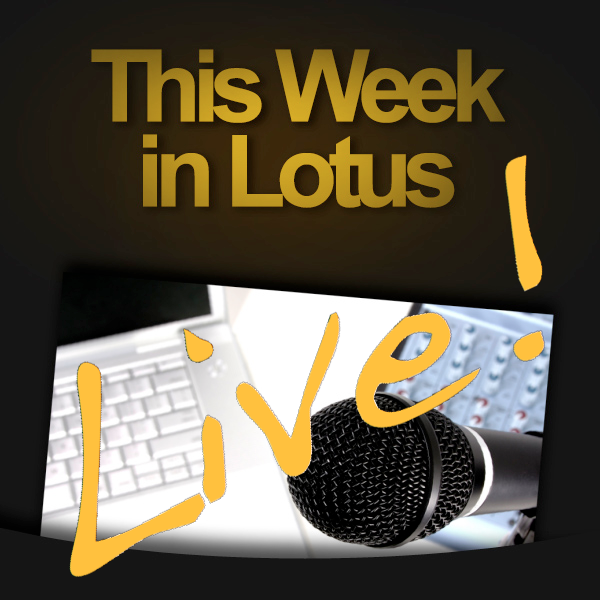 What will LotusLive Symphony bring us? Is it a big threat to Google Apps? Was pricing discussed? Will this be IBM moving into a Fremium model? Still a real appetite for Lotus books and hard copy publications – Lotus Redbooks? Mitch Stuart and Rob Wunderlich’s SHOW202 Connections Installation presentation, and watch for Darren’s Kimonos videos. Paul Mooney (blog | twitter | company) is Senior Technical Architect from Bluewave Technology with 15 years experience supporting Lotus messaging products? Kathy Mandelstein (twitter) is currently oversees worldwide marketing programs, web and events in IBM Software Group for the Lotus portfolio of collaboration tools designed to empower people to be more effective, responsive and innovative within the context of the work they do. It includes email, calendar, instant messaging, electronic forms, web conferencing, portals, team spaces, business dashboards, document management, and enterprise social software. Previously Kathy led the IBM Rational marketing team focused on the business value of effective software delivery. 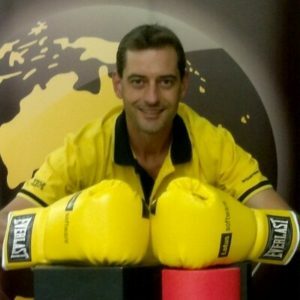 Bruce Elgort (blog | twitter | company) is the president of Elguji Software, the creators of the hugely popular IdeaJam collaboration site for the Lotus Community. His other megahits include co-founding the Lotus Notes open source community OpenNTF.org and hosting the Taking Notes Podcast with the famed Julian Robichaux. Mat Newman (blog | twitter | company) is a consultant for ISW (a business partner in Australia), Lotusphere speaker and owner of the coolest yellow suit around! Lotusphere 2011 – what else? A special ‘thank you’ to all those that helped organise this, ran the PA and got us the recording. Thanks too to all the folks that attended and made it such a fun event! All being well, we’ll be back live at Lotusphere 2012! Don’t miss ‘This Week in Lotus – Live’ at Lotusphere 2011 today!